Nei Bulletin sono inserite anche le infomazioni per chi ha prenotato il dragon boat per la Vogalonga. (you can download in the"Documents" area). The Bulletin also includes information for those who have booked the dragon boat for Vogalonga. Where: S. Alvise, Venice, Italy. The opening ceremony will be held on Friday 7th June 2019 starting from 5.30pm along the Grand Canal. Note: Please see the instructions that can be found in the Festival programme below. Categories: Club/Sport – Social/Amateur - Breast Cancer Survivors. The entries will remain open until the final decision of the Organising Committee. 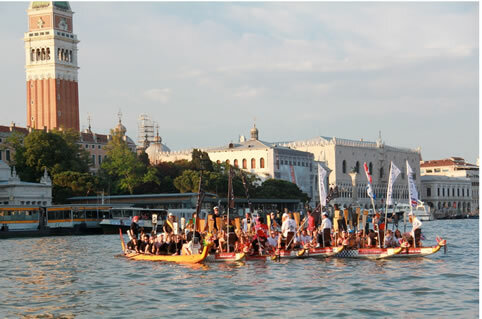 7th June Afternoon – parade of dragon boats along the Grand Canal and Eye-dotting Ceremony (the participating teams will be informed with an email which will contain specific information of the embarkation, the route and the disembarkation). (the parade will end at around 7.00pm at the same point as the departure). A small aperitif will follow (book through attachment 1 in the Bulletin 2). Medal Ceremonies will be held after the completion of the last Final. the Festival will be cancelled and 50% of the Festival Registration fee (ONLY) will be refunded. 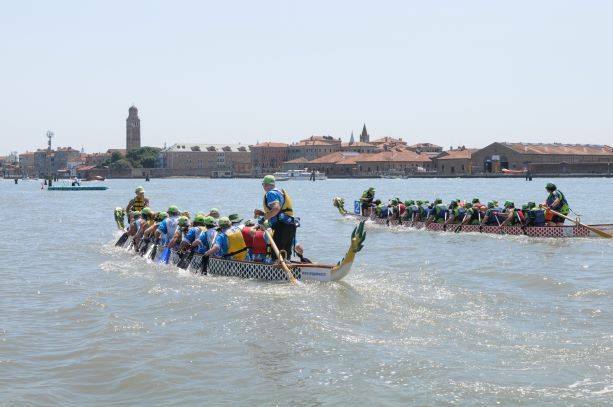 Registrations for the 5th Venice International Dragon Boat Festival are already rolling in with teams from the UK and Australia already confirmed. Don't miss out and come and join the crews for a fun-packed weekend starting with the parade in the Grand Canal on Friday 7th, the Festival on Saturday 8th and ending with the Vogalonga on Sunday 9th June 2019. Boats are being snapped up quickly and the next deadline to confirm your registrations is January 31st! Following the numerous requests received so far, the Organizing Committee announces that, from January 15, "standard" dragon boat boats are available for Vogalonga 2019 only at a cost of Euro 2000.00. It is shown that for the same amount, as per the quotas indicated in the Bulletin n.1, it is also possible to participate in the 200 meter Festival, scheduled for Saturday, June 8, the day before the Vogalonga. Remember, for those who want to participate ONLY at the Festival and with their own boat, that the registration fee for the Festival is € 700.00 to crew (dragon standard 20 seats).